The bellini is a classic Italian cocktail that's made with Prosecco and peach purée or peach nectar. This tropical version, with mango juice or nectar, shines as bright as the tropical sun and tastes just as sweet. Pour 2 Tbsp. mango juice into each of 6 champagne flutes; fill with sparkling wine. Pour 1 tsp. grenadine over the back of a spoon near the inside of each flute to flow to the bottom for the layering effect. 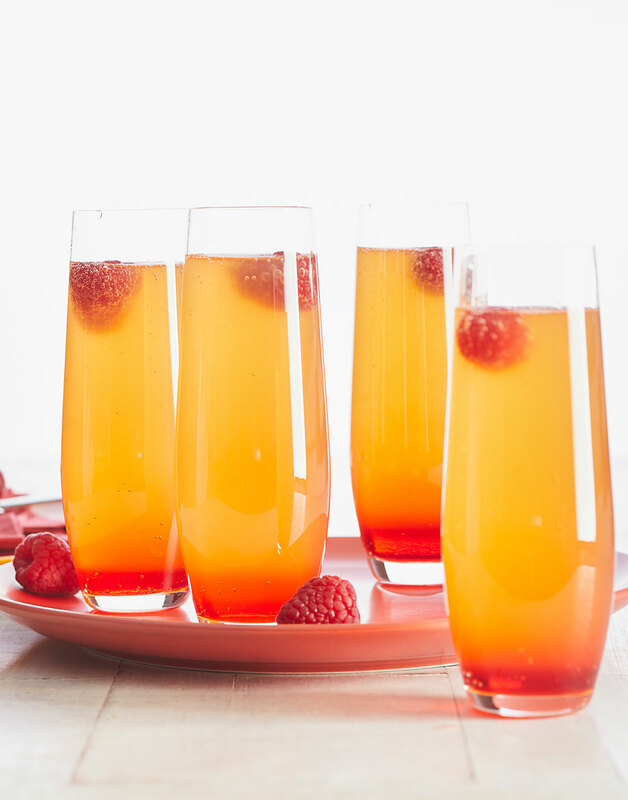 Top each bellini with a raspberry.